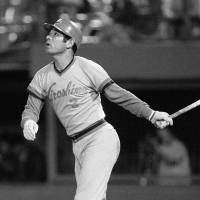 Hall of Famer Sachio Kinugasa, whose 2,215 consecutive games played remain a Japan pro baseball record, died of colon cancer Monday at 71, an informed source said. 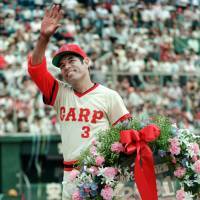 Nicknamed “Iron Man,” Kinugasa played for the Hiroshima Carp from 1965 to 1987 and was the Central League’s 1984 MVP. He is tied for fifth in hits in NPB history with 2,543, sixth in runs with 1,372, and tied for seventh with 504 home runs. On June 11, 1987, Kinugasa played in his 2,130th consecutive game, equaling Lou Gehrig’s professional record total, and surpassed it two days later in front of a sold-out stadium in Hiroshima. Kinugasa’s total was in turn surpassed by Cal Ripken Jr. of the Baltimore Orioles on June 14, 1996. Kinugasa was on hand that day to congratulate Ripken in Kansas City. Born in Kyoto in 1947, Kinugasa was raised by his single mother. He reportedly never met his father, an African-American serviceman stationed in Japan after World War II. A home run-hitting catcher out of Kyoto’s Heian High School, Kinugasa said his idol as a schoolboy was not the Yomiuri Giants’ home run king Sadaharu Oh or America’s most famous home run hitter, Babe Ruth, but superstar Willie Mays of the San Francisco Giants, who combined both speed and power. Despite the heights he eventually reached, Kinugasa struggled to establish himself as a pro. Writing about his career in his 2008 book “The Ballpark of the Baseball Gods,” he talked about the easy route he expected as a slugging high school player because the Carp were a team with few young players and a regular catcher who did not hit much. The problem was that Kinugasa never excelled at catching breaking balls from top-flight pro pitchers, and he had to spend years working on his hitting to earn a spot playing first base. 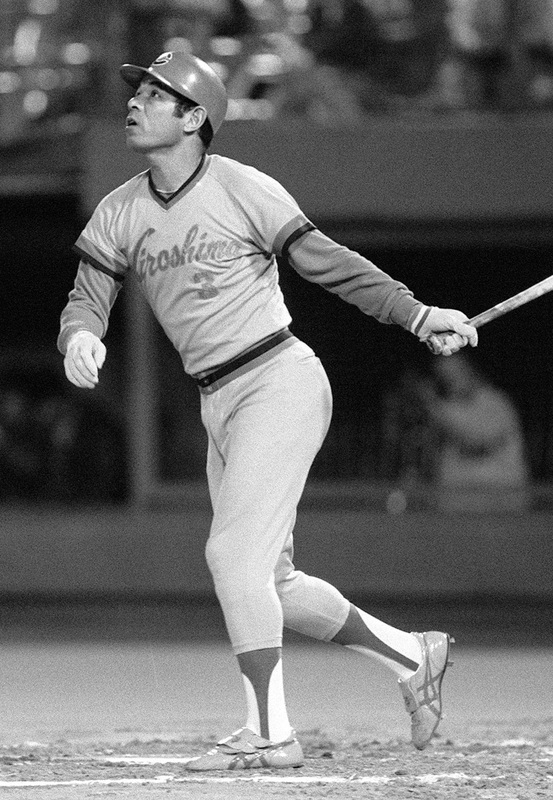 In 1975, new Carp skipper Joe Lutz shifted Kinugasa to third base, opening up a spot for a big-hitting foreign player at first. That proved to be one of the keys to the team’s first CL championship. 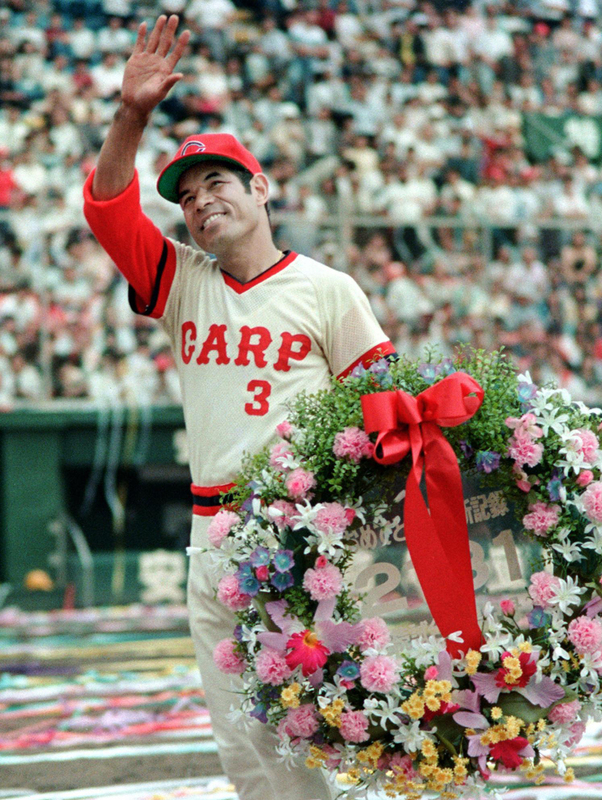 Kinugasa and fellow Hall of Famer Koji Yamamoto became the core of the Carp dynasty from 1975-84, when the team won four CL pennants and three Japan Series titles. After his playing career, Kinugasa continued to be involved in baseball as a commentator. Kinugasa and Ripken collaborated to teach and promote baseball, with Kinugasa regularly going to Maryland in the summer to help with events Ripken organized. He became the second baseball player, after Oh, to receive the People’s Honor Award in 1987. The award, which was initiated in 1977, is given by the prime minister to honor people for outstanding achievements. Chief Cabinet Secretary Yoshihide Suga said, “He performed exactly as one would expect of someone called ‘Iron Man,’ a worthy People’s Honor Award recipient. New York Yankees, Sadaharu Oh, Koji Yamamoto, Hiroshima Carp, Lou Gehrig, Sachio Kinugasa, Cal Ripken Jr.